Kristi LeAnn (Wagner) Lofton, 49, of East Mount Carmel, Indiana, passed away peacefully on Monday, Jan. 9, 2017, at her residence with her loving family by her side. She was born on March 21, 1967, in Wabash County, Illinois, the daughter of Ray Wagner and Kay (Jim) Prosise. She married Gregory Lofton on June 9, 2014, after a 20-year relationship. Kristi loved her family especially her grandchildren. She enjoyed boating on the Wabash River and camping with her family. In her free time she liked working crossword puzzles. Kristi was the happiest when she was sitting on her front porch visiting with family and friends. She will be greatly missed by her family and all who knew her. Kristi will be remembered by her husband, Greg Lofton of East Mount Carmel; mother, Kay Prosise of Mount Carmel; son, Ryan (Brooke Morris) Sanders of Mount Carmel; daughters, Rachelle (Jarret) Adams, Ashely Pierson and Shyler Sanders all of Mount Carmel; grandchildren, Conner Adams, Kenzlee Adams, Luke Perry, Zeek Pierson and Addalyn Sanders; brothers, Mark (Trenia) Wagner of Mount Carmel, Bill Wagner of Mount Carmel, Kevin (Kelly) Wagner of Mount Carmel, Scott Wagner of Lake Ozark, Missouri, Shaun (Lisa) Prosise of Mount Carmel, Terry (Ruth) Prosise of Mount Carmel and Tim (Tonya) Prosise of Salem; sisters, Sherry Buckman of Carmi and Sheila (Mike) Welch of Clinton; father-in-law, Keith Lofton of East Mount Carmel; brothers-in-law, Mike (Michelle) Lofton of East Mount Carmel, Kevin (Penny) Lofton of East Mount Carmel and Brian Lofton of Owensville; many loved cousins, nieces, nephews, aunts and uncles; and a few very special friends. Kristi was preceded in death by her fathers, Ray Wagner and Jim Prosise; sister, Kelly Harrelson; and mother-in-law, Zoella Lofton. Family and friends are invited to gather from 11 a.m. to 1 p.m., Thursday, Jan. 12, 2017, in the Chapel of Keepes Funeral Home. Funeral services will be 1 p.m., Thursday, Jan. 12, 2017, in the Chapel of Keepes Funeral Home, with Pastor Bill Reed officiating. Burial will follow at Maumee Cemetery in Johnson, Indiana. Keepes Funeral Home is serving the family with the arrangements. 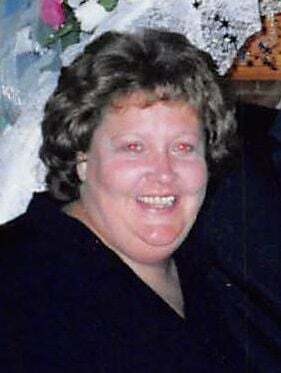 To view Kristi’s tribute wall and leave online condolences for the Lofton family, please visit www.KeepesFuneralHome.com.